KARACHI: Following an intense investigation, social media giant Facebook said on Monday it had taken down profiles, groups and pages from four separate networks — one in Pakistan and three in India — after they were found to be run from fake accounts that were engaged in deceptive behaviour. “When we take down one of these networks, it’s because of their deceptive behaviour it’s not because of the content they are sharing,” said Nathaniel Gleicher, head of cyber security for Facebook, in an online video in which he explained the takedown actions. A total of 712 accounts and 390 pages from India and Pakistan have been taken down in the action announced on Monday. He told Dawn that Facebook has engaged with the Prime Minister Office during the takedown actions. In Pakistan, the network targeted consisted of 103 pages, groups and accounts on both Facebook and Instagram. Collectively these pages, groups and accounts on both platforms were followed by 2.8 million accounts, and 4,700 accounts had joined the groups that were taken down and 1,050 accounts followed the Instagram accounts. This network also spent around $1,100 for ads on Facebook. The first ad ran in May 2015 and the last one in December 2018. In a statement released on Monday morning, Facebook said that the network of accounts was run by individuals all of whom were employees of the Inter-Services Public Relations (ISPR) arm of the Pakistan Army. 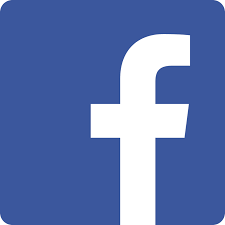 During the conference call with Dawn, Gleicher underlined that Facebook had no way of knowing whether the network was “organisationally directed” or whether the employees were acting on their own. Facebook did confirm, however, that all of the pages, groups and accounts that were taken down were operated only by ISPR employees and nobody else. Dawn made several attempts to seek the ISPR’s comments on the matter but in vain. When asked how Facebook determined the identity of the people running these accounts, Gleicher said he does not want to discuss the details since it would make it easier for others engaged in similar behaviour to evade detection in future. But he did say that one of the ways the identity is established is when the same party running a fake account later logs into an authentic account. Some of the pages subject to the takedown action were Pakistan Cyber Defence News, Kashmir News, Gilgit Baltistan Times, Kashmir for Kashmiris, Painter’s Palette, and PakistaN Army — the BEST. The information regarding names of the pages was shared by Atlantic Council think tank’s Digital Forensic Research (DFR) Lab, which went through the material taken down by Facebook from the Pakistani network and provided examples of the types of accounts that the network consisted of. DFR Lab also said that at least some of the pages existed only to praise and glorify Gen Asif Ghafoor, the Director General of ISPR. Some sources familiar with the investigation told Dawn that they were not aware of any political content carried on the pages. Most of the pages presented themselves as news outlets, or more general hobby and tourism related pages. Another 15 pages, groups and accounts were removed because they sought to conceal their identity and mislead their audience about who they are as they purveyed content aimed against the INC. This network was found by Facebook to be connected to the Indian IT firm SilverTouch that has been reported to have ties with the ruling BJP.